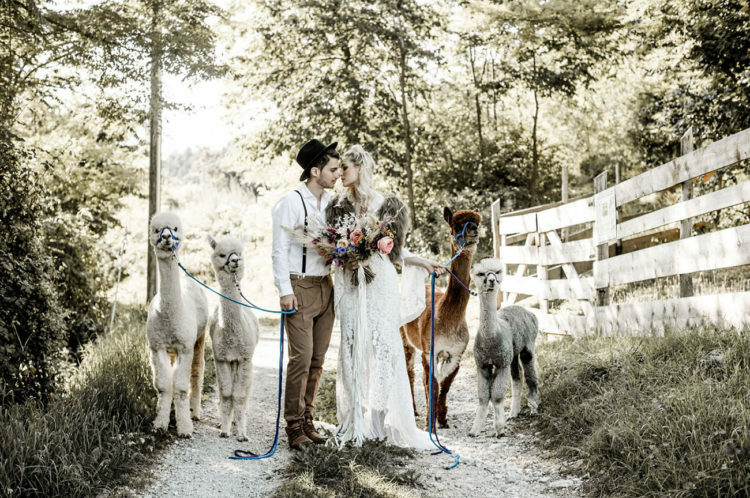 Wild and adventurous elopements are popping up everywhere. 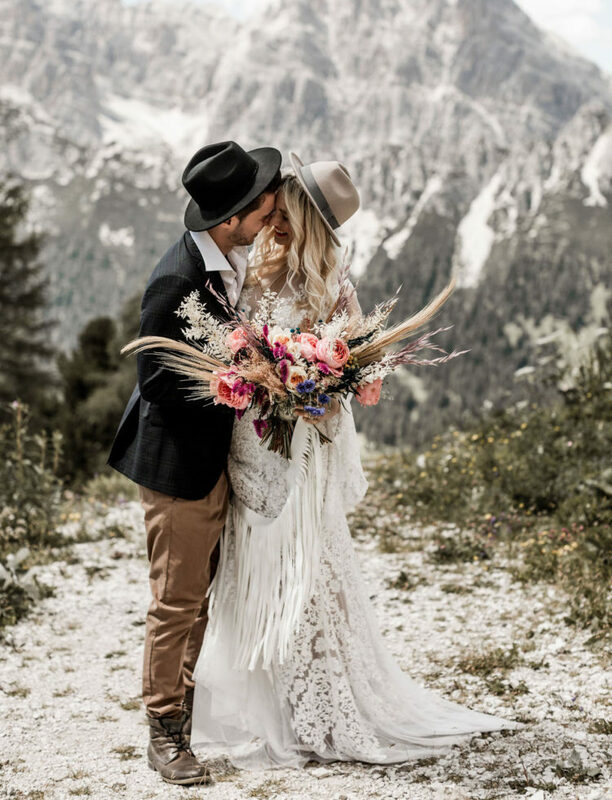 The vision for this shoot came about from this elopement trend and wanting to bring it to the Dolomites in Italy. 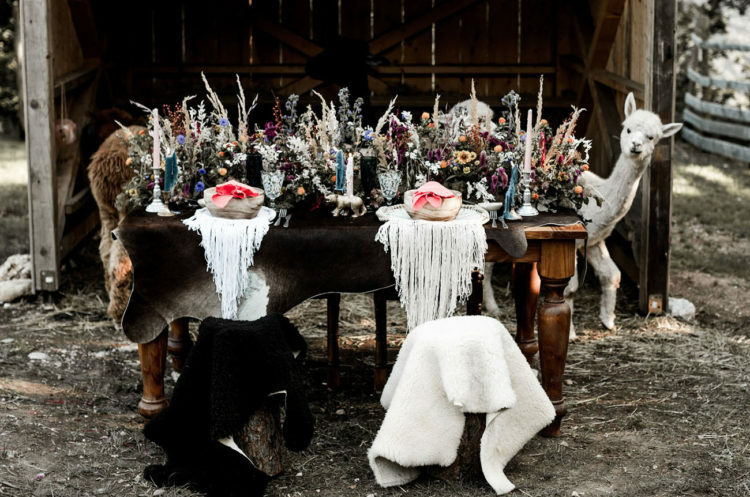 The author of the shoot chose the breathtaking Italian Dolomites, the mountain range forming into the Great Alps. 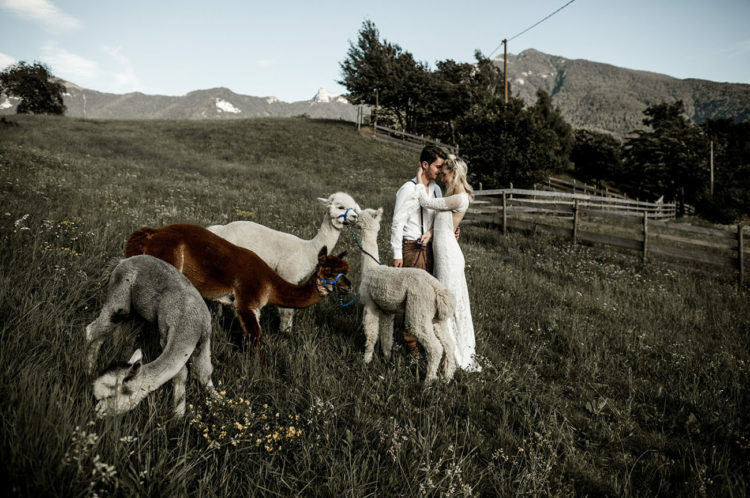 On the mountains, the air is so crisp and fresh and the views are grand – there’s nothing better than that for a wedding shoot or an elopement. They also found an alpaca farm in the mountains and explored and interacted with these animals, they are gorgeous! 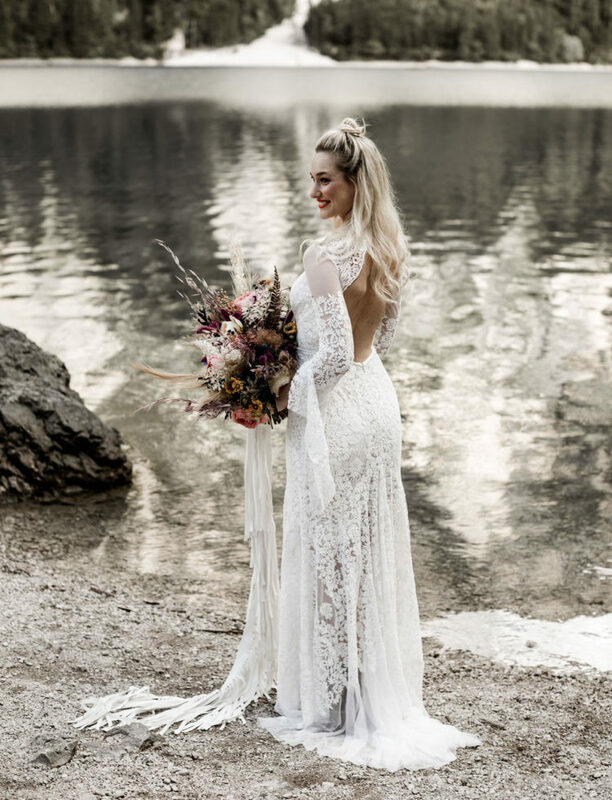 The bride was wearing a boho lace wedding dress with a cold shoulder, a cutout back and interesting detailing by Rue de Seine. The dazzling jeweled headpiece is handmade with a variety of stones from Guinevere Vines. The groom was rocking brown pants, boots, a white shirt and suspenders, and a hat and a jacket for several shots. 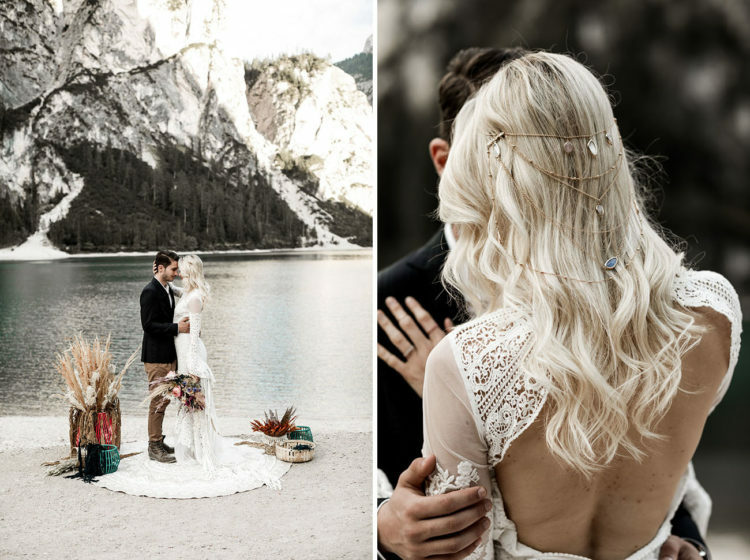 The ceremony was held at Braies Lake, known for its emerald waters. Everything was kept simple, letting the stunning scenery speak for itself. 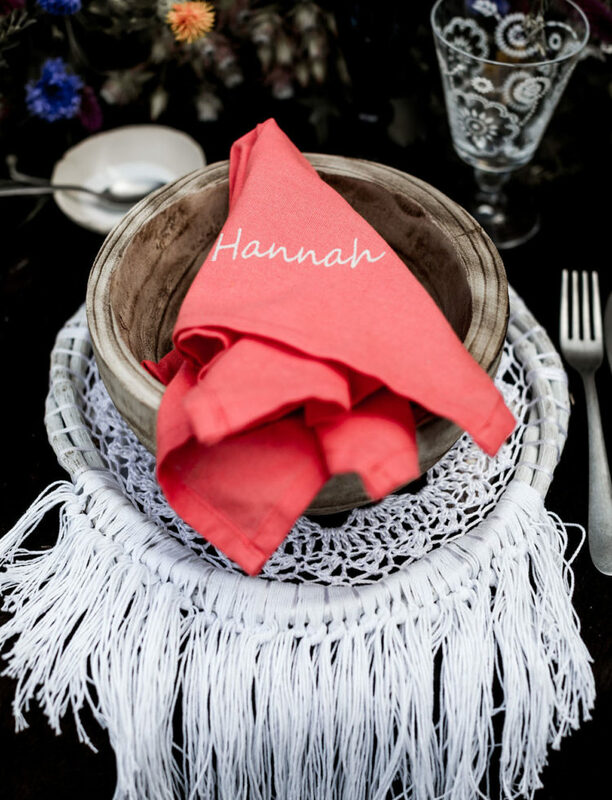 The ceremony space was frame with a coconut carpet and vases filled with dried flowers to follow the style of the bouquet. 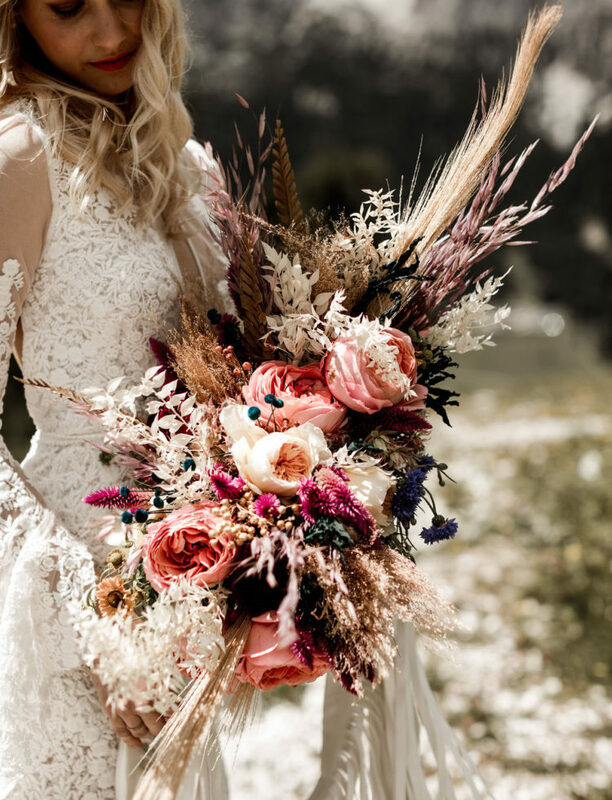 The bouquet by Chiara Sperti Floral Events was wrapped with a white leather fringe, handmade for this occasion and definitely gave a beautiful movement to the photos. 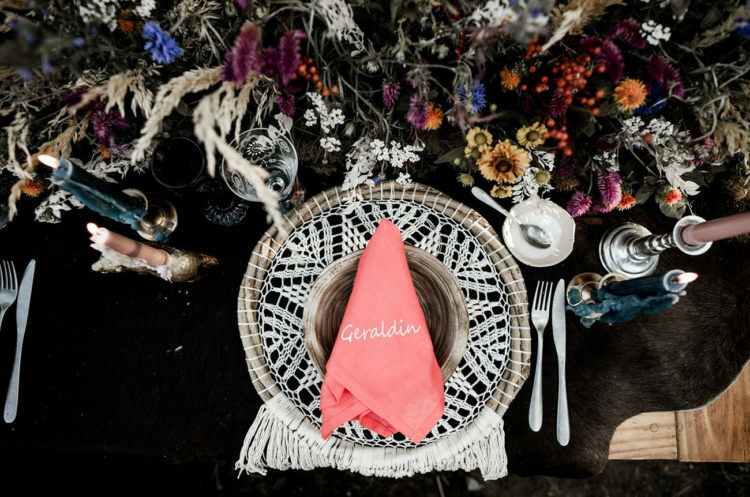 Get inspired by the pics of this shoot below!